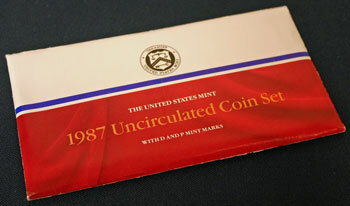 The ten uncirculated coins of the 1987 mint set came packaged in a red and white envelope with a blue stripe across the front and the US Mint seal in black centered across the white area. 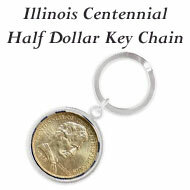 The ten coins included five from Denver and five from Philadelphia consisting of the Kennedy half dollar, Washington quarter, Roosevelt dime, Jefferson nickel and Lincoln penny. 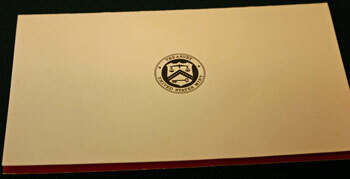 The red color across the bottom of the 1987 mint set's envelope appeared as if it was draped cloth instead of paper. 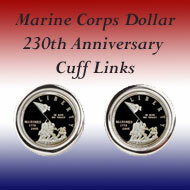 In an orange print over the red, "1987 Uncirculated Coin Set" identified the mint set. 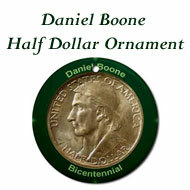 In addition, "The United States Mint" and "With D and P Mint Marks" in bold white letters added more information about the contents. The black seal contrasts with the white background just above the blue stripe. The style of envelope for the 1987 mint set continued with the back closure being straight across. 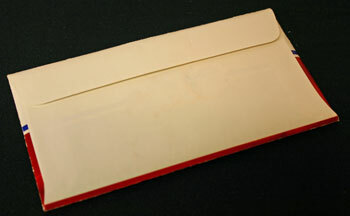 The envelope was constructed to be primarily white on the back side. The 1987 mint set included two pliofilm sleeves with five coins in each, an insert describing the mint set and the uncirculated coins' history along with a card that described the coins' specifications. 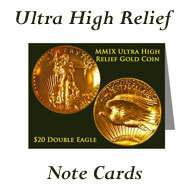 The card also helped cushion the coins in the envelope. The five coins from the Denver mint are in the red-edged pliofilm on the left along with a token identifying the mint. 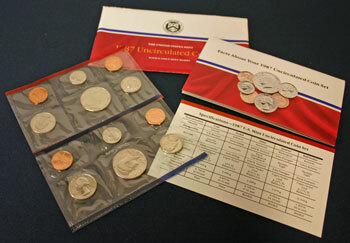 The blue-edged sleeve on the right contains the coins minted in Philadelphia and the mint token. 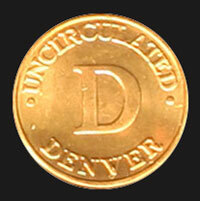 The size and color of a penny, the Denver token's obverse image shows "Uncirculated" and "Denver" around the rim with "D" in the middle identifying the coins minted in Denver. 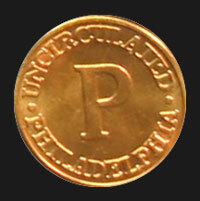 Similarly, the Philadelphia token in the other pliofilm shows "Uncirculated" and "Philadelphia" with "P" in the middle. The six sealed compartments protect the coins from each other, but the coins remain loose in the compartment and rotate freely. Turning the sleeves over, the reverse images of the coins and tokens show through the clear pliofilm. Both of the identifying tokens have the same reverse image which includes the US Mint seal. The front of the insert in the 1987 mint set uses a design similar to the front of the envelope but with the addition of images of the five coins and two tokens found in the set. 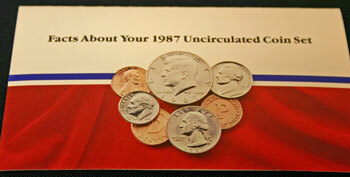 The insert is titled, "Facts about your 1987 uncirculated coin set." 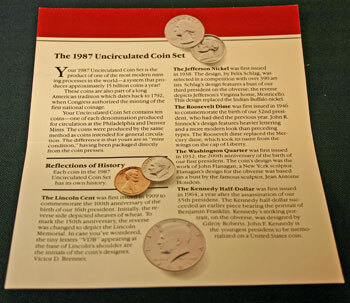 With a red stripe across the top, the insert in the 1987 mint set briefly describes the mint's processes for the uncirculated coins and provides a brief history of each of the five coins in the mint set. 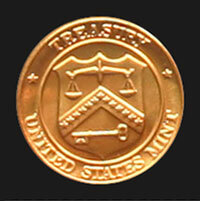 The back of the folded insert shows the Treasury Department's seal for the US Mint in black on a plain white background. The card titled "Specifications — 1987 Uncirculated Coin Set" includes the artists, the size, the metals and the weight of the five uncirculated coins in the mint set. Larger images of the 1987 mint set insert show the contents of the insert and the coin specifications with more detail. The gentleman who heads the House subcommittee overseeing the US Mint wants them to let the American consumers know that their gold coins contain foreign gold. He claims that 1/3 of the gold was purchased from other countries. The Mint's Deputy Director said that only a small fraction, 23,000 to 25,000 ounces out of 1.6 million ounces, came from outside the country. 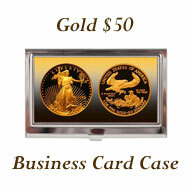 Under the Gold Bullion Coin Act, the Mint is authorized to purchased newly mined American gold for the coins. The US Mint will produce $5 gold coins and silver dollars made of .900 fine gold and .900 fine silver, respectively, to celebrate the bicentennial of the Constitution of the United States. 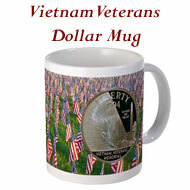 The coins should be available by September 17, the document's anniversary. Eleven artists have been invited to submit designs. 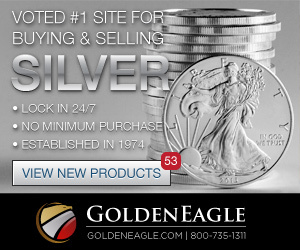 With six months left in the first year of sales, the new American Eagle gold and silver coins have already exceeded the first year's sales projections. 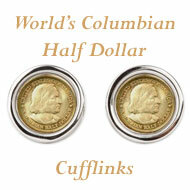 To date, 2.2 million ounces of gold and 8 million one-ounce silver coins have been sold. Introduced with just three months remaining in the year, the American Eagle gold coins accounted for 37% of the world-wide gold sales last year. The head of the House coinage subcommittee claims that half of the 2.2 million half-ounce, quarter-ounce and tenth-ounce gold coins sold thus far are underweight. The Director of the Mint responds that the claim is "an irresponsible distortion of the truth." Investigation into the gold refineries show that American produced gold bars could still contain foreign gold. The US Mint only requires that the gold bars be stamped with the hallmark identifying the refiner when the gold blanks are made by their supplier. Yesterday, the Treasury Secretary began the process at the US Mint to produce one million gold coins and 10 million silver dollars in recognition of the US Constitution's bicentennial this year. 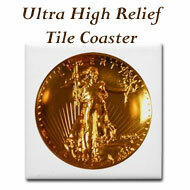 The US Mint spent $18,000 yesterday for the ceremony to begin making the Constitution commemorative coins. The Mint set up the ceremony to have the West Point mint begin striking the gold coins at exactly the same time the Philadelphia mint began producing the silver coins. 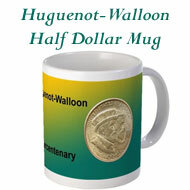 The total budget for the US Mint's first year, 1792, was $6328.49 and included the purchase of the property; the Director's salary; 120 bushels of coal; yard alarm bell; watch dog; straw, hay and horse medicine; and six pounds of old copper. 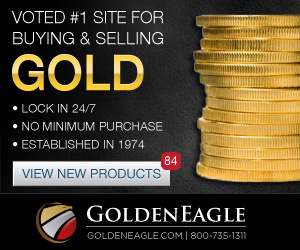 In celebration of the first year of the American Gold Eagle coins, the US Mint Director announced that the Gold Eagles captured 65% of the domestic bullion market and earned profits of $173 million. 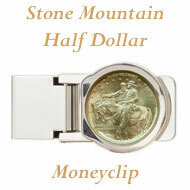 The Mint's sales of 2.72 million ounces exceeded their first year projections by 23%. 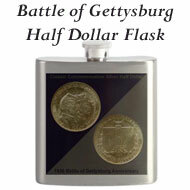 The 1987 Mint Set Year included news of the Constitution commemorative coins, the issues of the gold in the US Mint's coins and the US Mint's booming sales of gold and silver coins.